A recent test was carried out which directed three groups of users to different speed checkout pages. The first group saw fully optimised pages, and 1/3 of the users completed the transaction after the five-step process, whilst the group who were subjected to a two second delay saw a high drop-out rate with only 3/15 people completing their order. Fast loading pages are becoming ever more important in responsive design as a whole, but it is important to see how they can have such a dramatic impact. 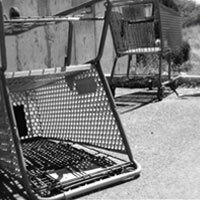 Delivery and shipping charges are one of the most common reasons for cart-abandonment. It’s important to make this kind of information available to customers before the checkout process so they can factor in any additional costs. It’s also important to make the delivery options (i.e. number of days) as clear as possible so customers should know what to expect from each price. Another common reason users state for their cart abandonment is the checkout process being too long or confusing. Although you need to receive a lot of information from customers before buying a product, things such as setting up an account or signing up to the newsletter can be added in on the confirmation screen in order to make the process easier. People are concerned more than ever about their personal details, including their banking details, being stolen and fraudulently used. It’s vital to demonstrate to your customers how safe your site is by moving to a secure platform in the checkout process, and displaying any security certificates you may have. It’s worth considering using analytics software alongside these programs such as Google Analytics, including click and heat map software to see exactly how customers are using your site. These kinds of statistics can provide vital insights, and highlight any areas where customers may be struggling.